EVENT IS NOW SOLD OUT!! Update: Albion Hill trails are closed to biking. BBQ lunch is still on. We're looking for hikers to go out and take branches off the trails. 9:30 am start. Come out for a road ride, a hike or just come for the free lunch. During Sunday's BBQ there will be 2-3 road rides available. If Palgrave is rideable, some MTB riders may go there. All rides depart from the Albion Hills chalet at 9:30 am. Otherwise you can hang out with us in the chalet all morning. 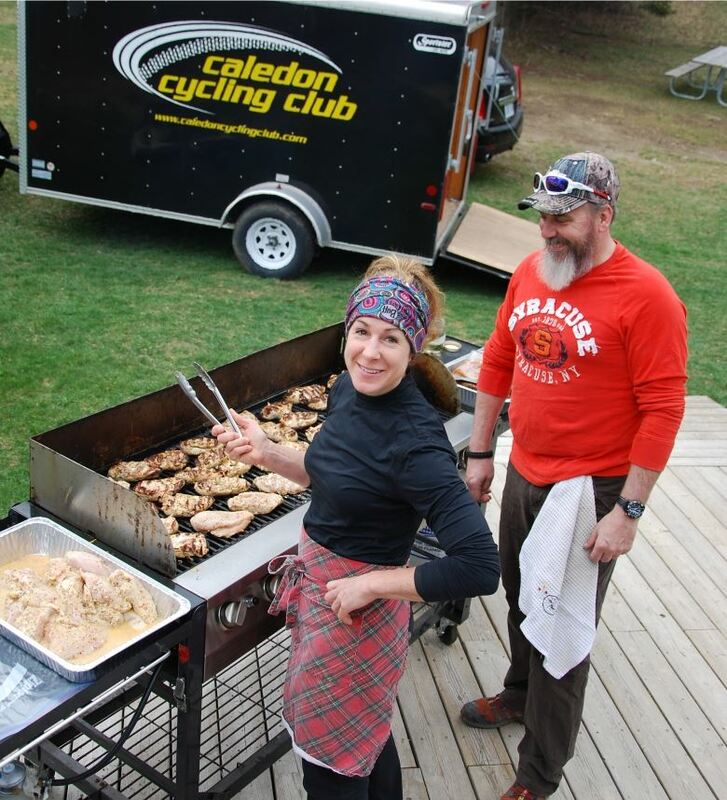 Albion trails will be officially closed for the BBQ and the following Monday - our first Monday night ride. The start of our MTB season will be delayed according to trail conditions. Stay tuned to our home page for trail conditions and ride cancellations. Please note that you'll be charged admission to Albion Hills. You can purchase a season pass at the gate (full price) or buy one from Caledon Hills Cycling at a discount.